It canât be said that this is a surprising development; mission critical communications have to be managed by radio based companies, not IT experts. Moving into the direction of using 3G or 4G for emergency services is a dangerous direction to take. The Home OfficeÂ is still planning to award new emergency servicesÂ radio network contractsÂ this year despite the fact there is just one supplier in the running for two of the deals, after HP withdrew its bid this week. The existing network is used by 300,000 different emergency services and public safety bodies across the UK, however it runs on âTetraâ radio, an old technology poor at supporting mobile data. The government hopes this will be solved by switching to a 4G LTE network, although a number of industry experts have warned the technology may not be ready to support mission critical voice communications, which require constant uptime. The government plans to award three contracts: one for user services, one for mobile services and another to appoint a delivery partner. HPâs decision comes just a month after Telefonica pulled out of the mobile services deal, leaving just one supplier left in the running for two of the three contracts: Â Motorola for user services and EE for mobile services. There are still four suppliers competing for the delivery partner contract. An HP spokeswoman toldÂ ComputerworldUKÂ the company had chosen to withdraw from the procurement process because it did not believe it could “submit a proposal that met the programme’s requirements and timelines with a level of commercial and technical risk that was acceptable to all parties”. Despite the dwindling list of suppliers, the Home Office insisted it will still sign contracts later this year with emergency services expected to connect to the new network in 2016.
âThere are six strong bidders competing for the main contracts. We have received their best and final offers and hope to sign contracts later this year,â a spokesman said. HoweverÂ ComputerworldUKÂ understands the department could reject offers if they believe they will not meet the needs of the emergency services or represent value for money, leaving the door open to a potential change in its plans. The existing emergency services mobile network is operated by Airwave, which has said it is willing to help the Home Office with contract extensions until 2020. All fire and rescue services have already agreed to continue to use the Airwave network until at least December 2019.
âIn the long term we agree that LTE technology is the future of mission critical voice communications for the emergency services, but it is essential that the desire to adopt emerging technologies does nothing to compromise this countryâs public safety, resilience and security,â Airwave said. If you arenât a lonesome wolf and like to go on hunting trips with your friends or partner, you should consider finding some high quality two way radios for communicating while hunting. With these radios, you can communicate with the entire hunting party even when you are far away from them out in the forest. If you are looking for a discreet way of contacting your hunting party members, then two-way hunting radios are just what you need. What Makes Two Way Radios Essential While Hunting? The hunting ground usually spreads across thousands of acres, and you could need assistance at any time while you are stalking your prey. Whether you need help with some field dressing or your partner needs assistance in cleaning the prey that have just put down, you need a way to communicate out in the wild. While mobile phones can be used for communication, the network is never reliable, especially in the great outdoors. Since two way radios have incredible range distance, you wonât have to worry about being too far away from your hunting party. It is important to stay camouflaged in the wild while hunting, which makes two-way radios perfect since they wonât make a ringing noise. Imagine how frustrating it would be to be within shooting distance from a deer when your phone starts ringing. Moreover, these radios are ideal when you have younger hunters with you on the trip. With just click of a button, you can communicate with them and ensure that they are alright. What Should You Look For In A Two Way Radio For Hunting? There are a few things you need to look out for, before you go out and buy a pair of two way hunting radios. Buying just any set of walkie talkies wonât do the trick, you need communication equipment that blends in with your hunting gear and works well for you when you are out on the hunting grounds. The longer the range of the radios is, the stronger the signal will be, which is essential for hunting. A radio with at least 1 mile radius should be sufficient for undisturbed communication through the forest with thick brush that can cause signal blockage. If you are out for a big hunt, you will be on the ground for an entire day. This means that the two-way radio must have enough battery power to last you a day, or must have removable batteries which can be replaced with AA or AAA batteries. A waterproof radio is essential in the wild, so is the NOAA weather information to alert you of any of the weather changes. It is equally necessary for the two-way radio to have headset support, since you do not want to spook the animal with the sound of the radio. The two way hunting radios by Motorola can be considered the best set that money can buy. These 2 way radios are waterproof and come with a 35 mile radius, matching all the requirements mentioned above to be one of the best two way radio for hunting. Coming from a revered brand such as Motorola, these are quite cost effective, with a Â£150 price tag, however. The 35 mile radius is the ideal range that will give you undisturbed communication, along with nickelâmetal hydrideÂ batteries that can be replaced for lithium ionÂ battery life. The camo pattern on the exterior and the NOAA weather alerts make it ideal for your hunting trip. The device is not only waterproof, but floats on water when you drop it. The design of the two-way radio has been engineered to give you a comfortable grip all day long, and the anti-slip ridges ensure that the radio does not slip out of your moist hands while out hunting. 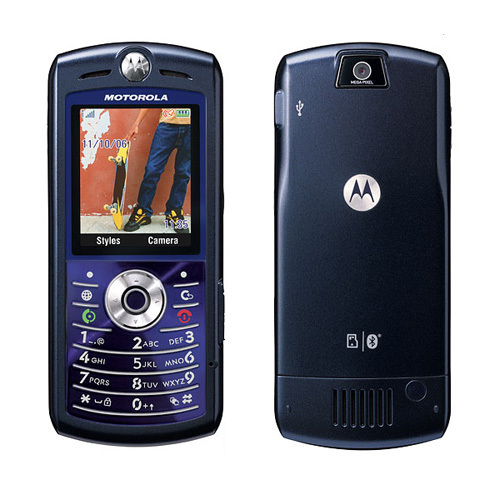 Motorola is an old name in the world of wireless communication, and has a track record of delivering brilliant devices. The Motorola DP1400Â two way radio is one such product, which matches the features of the Motorola DP2400. This 36 mile radius radio has all the features of the latter, but comes with a lower price, So If you are in search for an excellent two -way radio for your next hunting trip, the Motorola DP1400 is the way to go. Finding the cheapest price is hard in the local store, so get the best deals on this two-way radio online Store. Headphones are used for various purposes. While there is no doubt that it is most widely used for listening to music and also to enjoy movies in a private environment, there are many other reasons for which these devices are used. Cancelling noise is very important and it is applicable for different types of activities. Whether it is sports or other applications, these devices are extremely important. They play a big role in helping removing or blocking various types of noises and sounds. They work using a simple technology that is referred to as inverse sound wave. It is very useful while travelling in planes and the inverse sound wave will help prevent noise of the engines. While there are different opinions about these noise blocking headphones, there are certainly some obvious advantages that cannot be overlooked. Let us have a look at them over the next few lines. Previously these headphones were used very extensively in the aviation industry because of obvious reasons. Pilots use them even today for cancelling noise emanating from engines. It would also be pertinent to mention here that ground staffs who signal planes also use them not only in civil airlines but also in air forces. 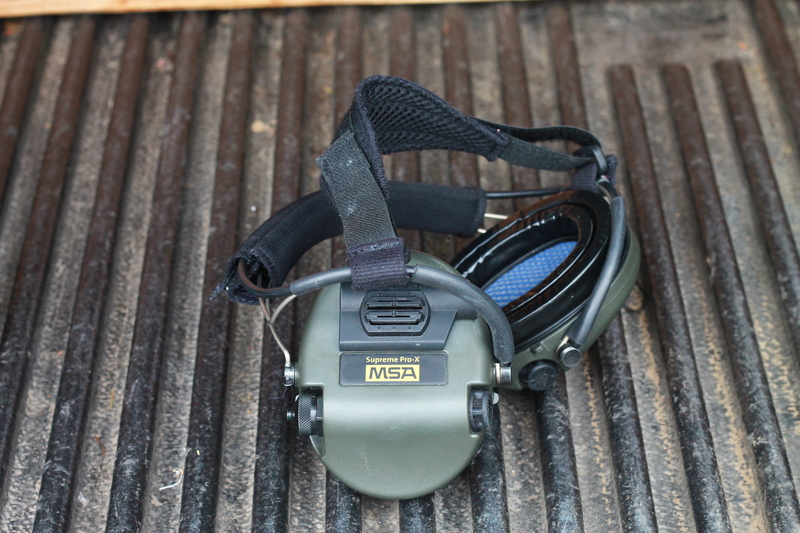 It is also very commonly used by shooters to shut down sounds emanating from guns which could affect their concentration. There are many such brands available in the market today and MSA Sordin is often considered to be one of the most sought after ones. It would be pertinent to have a clear understanding about the various technical features of brands such as Sordin so that customers can get a better picture of the same. These sound cancelling devices are usually connected to a two way portable radios or walkie talkies, which are available in the market. The headphones and other accessories and attachments can also be used and there are many companies which manufacture them. The protector headsets come with a noise cancelling microphone which is also referred to as boom microphone. It also has a down load feature and PTT. The down load and PTT directly connect to the two radio systems as mentioned above. This is done with negligible or minimal interference that comes from the outside. Hence whenever there is a need to reduce or totally remove unwanted noise the MSA Sordin device always comes into play. Let us now have a look at some interesting features of these noise reducing headphones. These devices are very feature rich and offer excellent value for money. The headphones are padded and the soft cushions well and truly provide the right type of comfort. The boom microphones are very useful for communication even in very noisy areas and locations. These devices are also available with or without audio limiters. Quite a few manufacturers allow customization of the audio limiters depending on the specific needs and requirements of customers. Before buying these devices it is very important to have some understanding about the difference between noise isolating earphones and noise cancellation headphones. What we are talking about in this article is the noise cancellation variants. Hence this point should be made clear before buying them. Audio quality is also an important point to be kept in mind while buying these earphones. You should also make a decision between wireless and wired earphones keeping in mind your specific needs and requirements. Though wireless phones are more user friendly and flexible, they are often more prone to signal interruptions. Price is also a very important consideration when it comes to buying these ear phones. Going through the right due diligence process is also very important and unless you are sure about the quality, overall features and functionalities you should not go ahead with the purchase. When you buying from reputed online sites, you should look up quite a few brands and choose something that totally meets your specific needs. It is a time consuming process but you should be willing to invest the desired time and effort failing which you could end up choosing the wrong earphones. How Much Does a Good Earpiece Cost? Actually, quality two-way radio earpieces are not nearly as cost prohibitive as you might expect them to be. In fact, you can get a professional quality model for as little as just over Â£10 (not including shipping costs). The linked model even comes with a special noise-reducing microphone included in the price. Elsewhere, Amazon.co.uk has earpiece and headset deals for as low as Â£6.00. These wonât be top-end products, obviously, but they are unlikely to let you down either. As with all things, it depends on what uses you have in mind. If you are unsure as to exactly what your needs are, then it is wiser to spend a little extra (weâre not talking a bank-breaking amount, after all) than it is to buy the cheapest model, saving Â£7 – Â£8 in the short term, only to end up disappointed with your final purchase. You can get a âgoodâ (as in, generally reliable âall rounderâ) earpiece for Â£10 – Â£20. These earpieces arenât particularly flashy, but they can be relied upon to get the job done. As a general guide, some of the more professional quality pieces available will go up as high as Â£40 – Â£50. Depending on what these models are used for, all will do a fine job. Of course, as with anything, there is a high-end and a low-end to the marketplace. However, unlike some markets, low-end earpieces do not represent an enormous loss in quality. They will work fine for basic/hobby use, but we recommend you spend out towards the higher end of the market for professional usage. EarpieceOnline is a good place to get your earpiece from, especially since they offer free next day delivery on all their items. Typically, earpieces are not an expensive item. In fact, they only cost a substantial amount when professional earpieces are bought in bulk for business use. However, the linked site is among the cheapest online and stocks a wide variety of different products. Of course, all prices listed here are âballpark figuresâ unless otherwise stated. The sites/stockists you use may be cheaper, or more expensive, so it will probably pay to shop around a little bit. If you are able to find any cheaper sites, then you might let us know, that way we can recommend them to other users. It is essential to point out that radios that operate within this frequency are capable of effectively communicating both indoors and outdoors. This means that they can be used in factories and other workplaces as well as outside when camping or hiking. Most cordless phones also use this frequency. However, the best thing about two way radios that use the 90 MHz frequencies can be used by both individuals and businesses without a problem. Most two way radios come with an adjustable gain feature. This feature allows the user to adjust the sensitivity of the radioâs microphone. This feature is also useful along with the hands free operation feature because it reduces the possibility of unintended noises triggering transmission. It also enhances the ability of the radio to pick up quite voices. This feature enables all radios within your group to change to a new channel. This helps in preventing interference from other devices. For you to use this feature, everyone in your group must have two radios that support this feature. In case one channel is not so clear you can simply change and use the channel with little or no interference. Most two-way communication devices including radios have a digital LCD display feature that displays useful information for instance your current channel. This feature enables you to turn on a lighted display which makes it easier for you to read the information on the screen especially in dark or poorly lit areas. A channel is a frequency on which two individuals using two way radios can communicate. Typically, there are 14 FRS channels as well as 15 GMRS channels. Two way radios that support both FRS (family radio service) and GMRS (general mobile radio service) have the capability of supporting up to 22 channels. This makes it easy for people to communicate with each other using these radios. However, to effectively communicate, all radios in the group should be set to the same channel. Two way radios are mobile devices. This means that they are designed for you to move around with them. As a result of this, these radios operate on battery power. Most radios work with standard alkaline AAA or AA batteries. Other models include rechargeable batteries. For those models that come with rechargeable batteries, it is essential for you to always fully charge the batteries before using the radio for effective communication. Just like the regular mobile telephones, two way communication radios also have call waiting feature. If you are already on a call, this feature allows you to receive a notification that someone is attempting to reach you. The latest models will give you an option of immediately accepting the new incoming call or simply reject the call and calling back thereafter. Call tones allows the user to alert the other radio users in the group that he or she wants to talk. It is similar to a telephoneâs ringing that indicates that someone wants to talk or someone is calling. Most radios allow the user to select from a variety of call tones. Also known as IS, intrinsically feature is a protection feature or technique used for safe operation of electronic devices in explosive environments. This concept was solely developed for safety measures specifically operation of process control instrumentation in unsafe areas. This means that two way communication radios can be safely used in hazardous areas without the fear of exploding or causing harm to the user. In summary, from the above features and benefits of two way communication radios it is clear to suggest that, these radios are convenient, affordable and safe modes of communication that can be used in workplaces as well as at home. They can also be used outdoors during camping, hiking or simply enjoying a shopping expedition in town. Are you in the security industry? Using Motorola Walkie Talkies? Need the ability to not have your conversation overheard, or need to silent on an event or restaurant service area, yet still in contact with your team? Do you need to walk and talk, so that you can multitask, or get other tasks completed while you are on the phone? Then Motorola is the company, and the earpiece, for you and your team. If you are in security, events or hotel management, you wouldn’t necessarily want everyone to be able to see that you are wearing an earpiece, and there are a variety of ways to minimise the âI have a radio in my pocket and I boss people aroundâ kind of look. First clip the charged radio on to your belt. Select the station or frequency that you will be using. Make sure that the team are all on the same station. Attach the Motorola earpiece to the radio, by slotting the two prongs at the bottom of the cable in to the side of the Motorola walkie talkie. You will see there is a big prong and a small prong, make sure you have them the right way round. Run the length of the earpiece cord under your shirt, and pop the top out by the collar or top button of your shirt, thereby hiding the wire from site. You will see a clip portion with a little speaker button it. That can be clipped on to your tie, shirt front or collar to allow you to speak in to it easily. The Motorola earpiece is a curved half moon shape. Make sure the wire is tucked securely in to the casing, as it can sometimes come out during storage and insertion. Clip the half moon shape over the ear and insert the round black earpiece in to the ear. The earpiece is covered with a removable soft cover that can be taken off and washed if the radioâs are used by different people, in the interest of best hygiene practises. If you are going for minimal look, arrange your hair to cover the earpiece or cord if possible. There are also high security options that run up the back of the neck and over the ear, and come in see through, clear tones to minimise the obviousness of them. These can be secured in to place using see through tape made especially for this purpose. Motorola also makes very hi-tech options for security personnel, with items that can clip on to sunglasses, shirt cuffs etc, and give a very FBI, protecting the president look, but are extremely functional. They ear buds are also more fitting and are snug in the ear, to allow for better audio. To speak through the microphone portion bring the unit close to your mouth. Press the button in and wait one second before speaking, to allow time for the radioâs to connect. When you are finished speaking, release the button. Wait for your team member to respond to your message. Remember to talk slowly and clearly. Although Motorola radios are really great quality, you are still a distance away from each other, and things such as mobile phones nearby, thick walls or ceilings, being underground etc can interfere with the signal and reception. If you are a Motorola mobile phone user, then there are also a wide variety of Motorola earpieces available, that wonât make you look like a call centre agent, or hurt the inside of the ear if you wear them for long periods at a time. The Whisper Smooth Talk, comes with a retractable boom with 4-mic CrystalTalk and offers the user cutting edge clarity and wind noise reduction, especially useful if you are calling from outside, or talking while you are walking. Bluetooth headsets clip over the ear, and allow you to connect wireless to your phone, which can be in your pocket or bag, and allow you to walk along and talk, without any cables or wires hanging around and getting in the way. Motorola has been innovating in the phone and walkie talkie industry for many years, and the constant innovation and bettering of their Motorola earpieces and products for ease of use and comfort is inspirational. Did Someone Say Walkie Talkie Earpiece? Gone are the days of having to actually hold a 2 Way Radio while using it, thank goodness. Todayâs world is one of convenience and I am so glad that it has translated over to walkie talkies in the form of a radio earpiece. When everyone in your vicinity can hear what your conversation is about, or hear other conversations that just happen to be on the same station as you, it can get annoying. Not just when I get those side glances when the person âcallingâ speaks there mind, but it must be pretty aggravating for those having to hear my (sometimes) loud conversations, but not anymore! walkie talkies arenât just something I can benefit from, but my family can too (kids love to play with the things, but the walkie talkies help parents to keep a check on them). Although walkie talkies can be used on a daily basis for different things, I use mine primarily at work. My best friend, and partner on the job, takes his on family vacations so that he and his wife can keep up with everyone. Sure, cell phones are all the rage, but when you are out relaxing on the beach or snowboarding down a mountain, who wants to keep up with a phone? Just stick that little earpiece in and take off. Plus the kids, and the elderly parents, can all use them with ease. Like I said, I use mine mostly at work. I need my hands to help my customers, so I do not have the extra hands to fiddle with a phone or the whole walkie talkie. Also, they help to keep sensitive information private. The speaker volume is easy to manoeuvre and the mic picks up words without getting all the background sounds. If the weather is nice, the walkie talkie earpiece is great to wear while on the motorcycle. The earpiece fits comfortably under my helmet, so if an emergency signal is sounded from work, I can still get it. This is also great for when my husband and I go on motorcycle road trips. We can always easily talk to one another while always keeping both eyes on the road. In addition to the ways I use the Two Way Radio now, kids seem to really love these things. My partnerâs kids love to play on them around the house, but also during games of paintball and airsoft when they need to covertly communicate with other kids on their team. The 2 Way Radio earpiece is also convenient if your kids ever venture off on their own. For example, my parents owned horses when I was a kid. They were always paranoid about my sister and I off riding horses throughout their land with no one around to help us if something went wrong. Thankfully, we had Two Way Radios so we could radio them periodically to let them know we were fine and having fun. This situation could also apply to kids running around the neighborhood or out camping in the yard. The good thing, technologically speaking, about walkie talkies is that they have been around for many years, and tech teams have worked to make them all the better. No longer do they just reach a couple of feet, but many miles depending on which set you get and the purpose of them. The new earpieces are amazingly convenient and easy to use, at a low cost. How you will be using a walkie talkie is something that you should keep in mind when looking for purchase one and the same goes for the earpiece. Although many can be used for multiple purposes, some walkie talkies work better further distances than others. Along the same line, some earpieces work better to keep out background noises (if you are on a motorcycle, per say) and some are more comfortable under a helmet. It is all about how you are going to use them, but they are all convenient and fun to use! When it comes to creating of digital communications throughout your company, MOTOTRBO digital radio solutions can help keep all your employees connected. The Motorola DP2600 is a hand-held two-way radio that comes with all the latest digital technological advances. These small portables deliver on affordability and high digital quality, allowing all of your employees to speak and hear clearly regardless the working conditions. The Motorola DP2600 display model features programmable buttons, 16 channel capacity, and water protection IP55 specifications. The volume of the radio adjusts automatically to be able to compensate for any background noises. This best-in-class technology provides a scalable solution for any communication needs within the company. The crystal clear screen allows easy navigation and install call recognition. The reason the DP2600 is so versatile is because it is available in both VHF and UHF frequencies, with a two-line display and simple to navigate keypad that is able to handle up to 128 channels. The three programmable buttons are simple to access, the tricolor LED provides crystal clear visual feedback on the status of the operating system of the radio. The screen is easily viewable day or night, and the large textured talk button is easy to find in any conditions. Some of the reasons the DP2600 has become one of the popular choices in the construction and assembly line industry is the compact design and the noise reduction capabilities and safety features.. The ability to switch between group or individual calls is simple, while the PTT ID is designed to simplify the system disciple and efficiency of communication. The remote monitoring system ensures employee safety while on the job by enabling quicker assessment of the remote users status. Calls received on the DP2600 connect on the first time thanks to the unique channel scanning technology. No tools are needed to attach remote accessories to the DP2600 because it comes equipped with an accessory connector. Through the software purchase you can upgrade the radio privacy feature, transmitting interrupt, and five tone signalling. The DP2600 comes with VOX capabilities and Intelligent Audio for automatic volume adjustment to compensate for any degree of noise within the workplace that could affect sound quality. This hand-held two-way radio IP55 sealing ensures continued operation in the harshest of working conditions. Equipped to handle multiple site coverage with the IP site connector, the DP2600 will keep everyone in the pipeline in communications with each other via the Capacity Plus and Lined capacity Plus features. Well, the headline above pretty much says it all. Electronics company Sony have announced that they will be ready to launch their hotly anticipated PS4 virtual reality headset as early as next year. Project Morpheus as the headset has been nicknamed by its developers, was officially announced at the recent Game Developers Conference in San Francisco, California, USA. One year earlier, the annual event saw the unveiling of an early prototype headset. This latest prototype, however, features a larger screen and exterior LED lights that aid in the tracking of movement. The new screen has a 100 Degree field of view and can render imagery at a speed of 120 frames per second. Improvements include the redistribution of weight toward the back of the userâs head, as well as a section of the headset that accommodates the userâs eyeglasses. Anyway. Now that the real deal is nearly ready to ârock and/or rollâ (as Springfieldâs Reverend Lovejoy would have it), gamers can eagerly look forward to the addition of a new dimension to their favourite pastime. As my old Nan used to say, âitâs all clever stuffâ. However, Sony arenât the only computer company dabbling in virtual reality entertainment. HTC and Valve are expected to release their Vive system later this year, while Oculus VR are also heavily involved in the development of a similar device, the Oculus Rift headset. As with all new technologies, there will probably be a few âghosts in the machineâ to start of with, however, VR gaming is certainly going to represent a fascinating step forward in the field of computer-based entertainment. Motorola DP4400 is a device that is capable of transforming your enterprise by making employee interactions much smarter and safer. The device features best-in-class audio and high-tech data capabilities; all meant to bring a new revolution in the world of communication. The DP4400 delivers admirable voice quality and enables for seamless data communications through integrated GPS and Bluetooth audio capabilities. Besides that, this device is built with an intelligent audio and customizable voice announcement feature. Because the radio is available in both UHF and VHF frequency bands, it is extremely easy to use. It offers 32 channel capacity and five buttons that are programmable. An emergency button is provided ad well alongside FM intrinsically safe options. Moreover, the device is made with IP57 specifications to enhance submersibilty. The radio is available in UHF (403-527 MHz) or VHFÂ (136-1774 MHz). It features 32 channels and 5 tone signalling capabilities. Its large and textured push-to-talk button makes it extremely easy for the programmer to tailor the use of 3 buttons â in order to increase operator efficiency. Besides being easily programmable, this radio features a Tri-coloured LED which enables for crystal clear visual feedback on the operating status of the radio. There is also an emergency button which is provided to ensure rapid reporting and response during critical situations. Another admirable feature to be found on the Motorola DP4400 has PPT ID which is meant to improve communications efficiency and system operability. Its remote monitoring features go a long way to ensure user safety alongside enabling prompt assessment of remote user status. To make it even more effective, the radio comes with elegant channel scanning schemes a feat that makes it extremely easy and fast to receive calls every time. With a loud front-facing speaker and an intelligent audio feature which is designed to adjust the volume of the radio depending on the noise levels of the surrounding when in use. Besides its powerful audio features, the radio makes it possible to send programmable update messages when messages need to be conveyed without interrupting other workers or guests. This radio features one of the largest collections of Application Developer Programs. All applications are customized to include unique features such as email gateways, location tracking and work order ticket management. Motorola DP4400âs diverse portfolio and high security features make it ideal for government and public safety. RFID and AIDC News: What is Zebra’s Strategy for Motorola’s Mobile Wireless and Data Collection Businesses? In early 2014, printing and RFID system focused Zebra Technologies announced it was acquiring the “Enterprise Systems” business from Motorola Solutions, in a deal that closed in late October. That left Motorola to focus on its radio systems business. It was a somewhat surprising move, certainly moving Zebra up the supply chain food change. What was the strategy behind the deal? How fast and how far will the integration of Motorola into Zebra go? Is Zebra now a “solutions” company? SCDigest editor Dan Gilmore recently interviewed Mike Terzich, Zebra’s Chief Administrative Officer who is leading the integration program, on these and several other topics. Gilmore: Mike, before we start talking about the Motorola Enterprise acquisition, you’ve been around the Auto ID industry for two decades. Not long ago, it was a very recognized and defined space. Now, not so much. It doesn’t receive much press coverage at all today, though SCDigest is trying to rectify that a bit. Is it because it’s just so easy to make it work today that end users just don’t need much education any more? Terzich: I think part of the reason that it has evolved the way it has is that if you look at who the industry icons were back in the day, the Intermecs, the Symbols [Symbol Technologies], the Telxons, the Hand Held Products, Datamax – all of them have been consolidated up into large industrial conglomerates. Zebra is really one of the last of the independents. For years, you had so much independent development, and every manufacturer had their own operating language and everything was proprietary, so that added a dimension of complexity that users had to deal with. Over time, as architectures became more open and interoperable, the mystery kind of disappeared on how to implement and integrate this stuff. The question now is not really about the technical aspects, but issues like how to optimize my assets across my supply chain network. Today it is much more of an application and business question than it is a technical one with Auto ID. Gilmore: I must admit the Motorola announcement took me a bit by surprise, though it was clear there were some tensions within the old Motorola Solutions between the radio side and the wireless and data collection businesses. What was Zebra’s strategy in making this deal? Terzich: A little bit history – we tried to be part of the opportunity back in 2006 and 2007 when Symbol Technologies was put on the market and eventually found its way to Motorola. We made a pitch at the time – I was personally involved – and as I like to say we were a day late and a dollar short in terms of making a deal. So our interest level from a strategic perspective has really been in place for seven years. So when the opportunity re-presented itself last year, our CEO Anders Gustafsson and Motorola started to have some conversations. For us, it was always about the attraction of where we saw the market evolving, and this whole concept around enterprise apps and intelligence, the interest of companies to optimize across their value chains, and we felt that the combination of Zebra and the enterprise mobility business from Motorola made complete sense because it allowed us to offer a broader portfolio and a higher percentage of the solution offering. For us, it also allows us to become closer to the application development side of the business. As a printing company, while we had a vision and an aspiration to be part of where enterprises were willing to go in terms of managing their business, it’s hard to lead application and solution development around your brand when you’re the printing component. Printing has become almost second nature today, while the wireless business and the portfolio Motorola has there in terms of mobile computing and the trends were we seeing with Cloud-based application development, the Internet of Things, asset optimization, and ubiquitous mobility – that’s what enticed us to say this is still a very relevant strategic opportunity today as it was back in 2007. Gilmore: I understand you have rather fully integrated Motorola in already. I would have thought that initially, given the very different nature of the business, that you would have started with it as separate SBU. I also understand you are quickly getting rid of the Motorola brand name in favor of it all being Zebra Technologies. Is that correct, and if Yes, what was the thinking? Terzich: It’s semi-correct. Where we are integrated is in our go-to-market strategy and our face to the customer. When you look at where Motorola Enterprise Mobility was selling, who their customers were and their routes to market, it was a combination of strategically calling on some very large end users and a significant reseller and integrator channel. It turned out that the amount of common end user customers and channel partners between Zebra and Motorola Enterprise is really quite significant. So we had the opportunity to integrate sales forces, and when you think about it through the eyes of the sales team, your carrying more products in your sales bag, you are selling largely to the same channel partners that Zebra and Motorola were both selling to independently. The largest end users are mostly customers in common, so there was some natural synergistic opportunity in our go to market model. Where we have remained separate is in the R&D and development side, because the product lines are complementary not competitive, and over time Motorola’s competency in mobile computing, data collection and wireless networks are unique skill sets for us. So we are maintaining separate engineering and product development organizations, but we come together with a common global sales and marketing organization. Gilmore: And what about the branding? Is the Motorola name gone, it is now all Zebra Technologies going forward? Terzich: From a contractual/legal perspective, we have to get off the name and the “batwings” [the Motorola logo] as part of the transaction, so it’s not like we have a choice. We can however leverage the Symbol Technologies brand, and we are going to do that as a product brand is some isolated areas. But Symbol as a name has been out of circulation for about seven years, and while it has some affinity say in the reseller community, the long term strategy is that everything will be branded Zebra Technologies. But in the transitional period there will be some product that have to transfer to a Symbol products sub-brand as a means to get off of the Motorola bat wings. Gilmore: What’s your take on wireless systems market? It really now is just down in the US to just two major players, Honeywell and now Zebra. Is it is still a good market, a growth market? Terzich: What’s interesting about the combination is we’re now number one in mobile computing, number one in data collection, and number one in printing. We have a very large global service organization. And then you get to wireless LAN, and that’s the fifth of our major revenue buckets. What’s interesting about wireless LAN is that it has the highest growth profile of any of those segments, but clearly Motorola’s position here is not number 1. You have some very large players [e.g., Cisco] that operate in a more horizontal market mode, and focus generally on more “carpeted” areas of a business, versus a distribution center or shop floor or a retail store. I think Motorola had done a nice job of carving out a niche relative to some markets that we service, principally in the retail and some of the hospitality markets, and the product has been successful and we have quite a bit of customer loyalty in these sectors. So our strategy going forward from a wireless LAN perspective is to be very vertically focused and application specific where the product has some advantages, and to build off that customer loyalty. We don’t think the answer is to compete broadly in the wireless LAN marketplace because we don’t have the R&D engine or the brand equity in some of those markets or applications. So we are going to stick to our knitting, which will concentrated in retail, hospitality and healthcare, where our product seems to resonate. Gilmore: You and Motorola use primarily a channels strategy. Are you in the solutions business, and can you do that if you use a channels strategy and are one-step removed from the customer? One of the things that most people don’t realize is that Zebra, organically before the Motorola acquisition, had about 80% of its business through channels and about 20% through some large, named strategic accounts. And those accounts tended to be some very sophisticated adopters of technology that effectively act as their own systems integrator. These are large retailers, large transportation companies, and large manufacturers that well understand how to deploy technology to drive efficiency and productivity. So that was our composite, and Motorola’s was very similar, the difference being that because Motorola offered enterprise mobile computing, they tended to call a little higher in those organizations, and they worked more closely with application developers and independent software developers because usually the real problem is solved by application software and re-engineering of business processes. So Motorola may have been calling on maybe 40% of its revenue from a strategic account perspective, and that means they had a seat at the end user table and they are influencing those companies, even if those are sometimes still being fulfilled through channels. So where do we fall in the solutions spectrum? Both product lines do not constitute a solution by themselves, they still need to connect to application software and that requires integration support. So the channel will remain a very vital part of the strategy. At a very simple level, we see that there are opportunities for better enabling application software. So how do we make mobile printing devices and mobile computing and data collection devices better together from a product design set? How do we make our technology more interoperable and attractive for application development? When you look at this technology and how ubiquitous it is you, find that deployment is really though many hundreds of application developers. You don’t see a small number of applications as being really dominant. Our job is to continue to work with those developers to make our solutions as easy to integrate with them as we can. No CIO or CFO goes to bed at night thinking “I need to bar code something.” But they do wake up and say I need to take a billion dollars out my supply chain, or whatever the figure is. What we do is often a key piece of what becomes the strategy to achieve those goals. Gilmore: If I understand it right, you have released your own Voice solution, originally developed by Motorola’s Psion unit in Europe, here into the US market. Before, Motorola relied exclusively on partners here for Voice software. What is the strategy? Terzich: Ultimately, Voice as a technology is just another extension of using mobility to make operations more productive and efficient, especially in warehousing applications. So it’s really just a continuum to us of bringing more capability to those that are trying to optimize workflow. Workflow has become without question one of the biggest areas of opportunity across anyone’s supply chain. This is part of why we are so excited about the combined portfolio in general, and our Voice solution is part of that. Gilmore: Mike, appreciate you sharing your insight today. Terzich: Thanks Dan. I enjoyed the conversation. How Do I Choose a Good 2 Way Radio? Choosing a good two-way radio is relatively easy. In fact, the vast majority of radios are goodÂ in the sense that they will do their specified job to a reasonable standard. With the majority of two-ways, you don’t need to worry about operating systems (like you would with tablet PCs) or compatibility issues* (like you would with games consoles). All you really need to worry about, in fact, is what you want to use your radio for; this is by far the most important question you need to ask yourself if you’re ever buying a walkie-talkie or two-way radio. If you’re just looking for a way to keep track of the kids on your next cruise, or you want something to add a bit of fun to your next outdoor excursion, then all you really need to do is find a trusted brand and buy a medium-priced model. It’s as simple as that. However, if you’re a businessperson and looking to buy a radio with a license, then you need to be a bit more careful. In that respect, you definitely want a trusted brand and you definitely want to consult a specialist before you invest in your equipment. If you happen to fall somewhere in the cracks between these two examples, we’ve prepared a fact sheet (of sorts) for you. GMRS (General Mobile Radio Service) â Is a higher-powered radio, popular for its reliability and versatility. GMRS is the most common choice among users. FRS (Family Radio Service) â Is usually more of a basic model, lower powered, but generally cost-effective. MURS (Multi-Use Radio Service) â Is an unlicensed radio that only has a limited capacity. MURS radios are not a particularly popular choice, although they do have their adherents. CBÂ (Citizen’s Band) – It is called different things in different countries, but CB is a personal service and is a popular choice, however it does require a long antenna. Good for drivers, though. No, we’re not talking about that Italian-sounding hybrid of a bluebottle fly and Cyril Sneer from the Star Wars prequels here; wattage is the measurement of watts, as in power output. Wattage is important in radios because it affects licensing. In the UK, for example, radios that have a power output greater than 0.5 watts require a license to use. It is also important to note that any radio, no matter the power output, will automatically downgrade to a half watt when operating on FRS-specific channels. Two-way radio manufacturers do a lot of lying and exaggerating about the range of their products. Their claims almost never take into account the signal interference caused by objects in the way, natural obstacles, atmospheric conditions and a plethora of other variables. On average, the actual signal coverage for any given radio is between one and two miles. CB radios can communicate over longer distances, but those extra long antennas can make them tough to carry around! If you’re using your radio in a busy area (i.e. where there are lots of other radio signals bouncing around), you will probably find that the available channels get used up pretty quickly. However, a radio that provides CTCSS will offer a privacy code function that allows you to subdivide your channels by creating a combination of channel and code, this will allow you to better communicate with others, even if the available channels are full. It should be noted, however, that this function does not make your conversation private; it just reduces the levels of other signals in the area that your device may be intercepting. One of the most commonly used communication devices is the walkie-talkie. Its use is not only for business operations, but it is also highly loved by kids and parents give them as presents due to their cheap nature. Someone would never require getting in a physical store to purchase a Motorola walkie-talkie as there are many online stores selling them. Some of the outdoor activities require you to be out in areas where there is no mobile network coverage. Although some of the areas may have support for mobile network, using a phone may turn to be more expensive. Moreover, mobile phones operation in such areas may be expensive and many people would never use them if given a chance. A Motorola radio can be useful in such areas as it provides a way for keeping in touch with your friends or relatives. Clubs, restaurants or bars having large customer circulation may highly require the use of the device to pass information within the premises to save time. Using a mobile phone in such a place can be expensive and may highly increase the expenses therefore reducing the profit margin. Mostly they can be essential for security purposes and the door supervisors can use them in their work. The other staff may also find them useful in their operation as movements will be highly reduced. Monitoring your baby while in holiday at times may turn to be hectic. Purchasing a pair of Motorola radio can highly assist in this monitoring. You may use them as long range baby listeners as they can cover a wider range than you may ever expect. There are many communication issues that usually surround a school or a college campus. At times you may find the staff members moving for long distances which may make the task of tracking them when needed hard. Also some schools or colleges may not have their staff members being desk based hence they may not be having a telephone. Providing every member of staff with a Motorola radio can highly solve some of the tracking challenges. Do all Motorola walkie-talkies work with each other? Yes, all Motorola radios will work with each other. All the models use GRMS/FRS frequencies, which allow their compatibility. To enable the compatibility, you only need to tune your radio to the same channel as your colleague and you will communicate effectively. The family radio system (FRS) has been in use in the United States since 1996 and it uses channels in the ultra high frequency (UHF), which protect it from interference from citizen band or other frequencies found in baby monitors. FRS systems use the frequency modulation (FM) and therefore has wide range coverage compared to other systems. After purchasing a communication radio you will not be liable for license charges, monthly charges or even contract charges as its use is absolutely free. The only cost you can expect is the recharging of the battery. People offering emergency services like a building collapse or fire fighting highly require the device in their communication. If you need to keep in touch with a person who lives near you, a walkie-talkie can serve you better compared to a mobile phone. You will never need to pay any charges and therefore you can communicate with your colleague any time you wish and also you are the only one who can end your talk. May 15, 1999.Â The atmosphere was touched with merriment and bonhomie as India took onÂ South Africa at Hove in just the second match of the tournament. And before a rather anticlimactic 47th over of the second innings, the match was a close, tense affair. Arunabha Senguptaremembers the day when a superb game of cricket was needlessly marred by an ear-piece controversy and an inebriated fan. It was Lance Klusener who spoiled the fun in the end. The match had been close, keenly contested. The Indian innings had seen controlled aggression, scientific pace setting. The South African chase had been crafted with care, the race between the balls remaining and runs required a neck and neck affair, none gaining on the other, all the indications pointing to a near dead heat as the finish line approached. India had rejoiced. Jacques Kallis, his mastery providing the plinth on which the South African innings was built, had just been sent back by a Venkatesh Prasad throw from the deep.Â The match had been poised on the edge of a knife,Â with 27 required off 26 balls.Â Traditional tight limited- overs fare. And then Klusener had walked in, taken guard and bludgeoned the first three balls he faced for boundaries. It had been unfair. Two teams had contested on level playing field and suddenly a man had entered busy batting in another dimension.Â The wire had not even been in sight when the game had ended, the Proteas had won with as many as 16 balls to spare. It was Hove, the home of willow wielding Indian princes who had turned out for Sussex. There had been the genius of Ranji , the elegance of Duleep and the ephemeral promise of Pataudi. As the memories lingered and expats flockedÂ in on the Saturday, the modern heroes did not put on a bad show. Sourav Ganguly, on his 100th appearance for the country, stroked the ball fluently, drives flowing like fizz amidst the festivity. And once he took time off from the crisp off side strokes to dance down the wicket and clobber Nicky Boje out of the ground. Sachin Tendulkar did not make many, but his five boundaries delighted onlookers. Rahul Dravid added 130 with Ganguly, reviving memories of the day at Lord’s just three summers ago when the two had made their smmultaneous Test debuts with strokes echoing around the world. India perhaps should have got more, but Allan Donald was excellent with his line and aggressive with his speed. Ganguly turned nervous and sluggish as he approached his hundred and took on the arm of Johnty Rhodes to be run out five short of the landmark. And the rest of the batting did not really distinguish themselves in the slog overs.Â The score read 253 in 50 overs, but in 1999 that was not a bad total on the board. The drama during the innings was played out beyond the 22 yards as well. The South African coach Bob Woolmer, that advocate of scientific innovation in the game, was experimenting with technology. Captain Hansie Cronje and ace bowler Donald both wore ear pieces, and Woolmer was busy communicating with them as they took the field. In the box meant for officials, match referee Talat Ali was far from amused. When the drinks were brought out, Ali came out fuming and confronted the coach. The experiment had been a partial success, but now Ali clamped down on it. Later ICC ruled against such advice dispensingÂ devices for the rest of the tournament. As South Africa started their response, a charged up Javagal Srinath ran in to send down a furiously fast first spell. The speed gun surprised one and all. The Indian speedster was bowling as fast as Donald. And he fired out the openers as well. Herschelle Gibbs was struck on the pads, on the kneeÂ roll with the ball swinging a long way. There were enough doubt, but one had to budget for Steve Bucknor. A long wait was followed by the raise of the finger.Â The other opener, Gary Kirsten, tried to send an express delivery through the covers and was bowled offÂ the inside edge. It was 22 for two, and another wicket couldÂ have increased the pressure exponentially. Indeed, with the South African think-tank using Mark Boucher as a pinch- hitter, such an eventuality was definitely on the cards. But on this day the move came off. Srinath started straying in line, more in length, and Boucher pulled him for two boundaries before sending one spiralling over the wicket-keeper’s head for six. Anil Kumble bowled him with a googly,Â but the quickfire 34 had got the Proteas moving. And at the other end, Kallis had settled down. Two drives, played square of the wicket with minimum effort, spoke of genuine class. Darryl Cullinan slogged against his phobia of leg-spin and got four off Kumble. A couple of drives flowed off the medium pacers. South Africa were past 100, the partnership looking just a tad threatening. Skipper Mohammad Azharuddin chucked the ball to Ganguly. Cullinan tried to lift him towards the vast open spaces of the on side. The leading edge took it to point. The man from Kolkata was ecstatic. It was 116 for four. India had the advantage. But, they needed another wicket. And they had run out of quality bowling. Robin Singh, Ganguly and Tendulkar tred their best but were not really ideal men to create pressure and opportunities. Srinath ran in for another spell and sprayed it far too short or way too down the leg. Kallis helped himself to calm boundaries. Cronje played a brisk little cameo. The balls remaining never quite lagged behind the runs required. Ajit Agarkar, less than impressive through most of his spell, sent down a short delivery. Cronje pulled it in the air and Ajay Jadeja plucked out an athletic catch at mid-wicket. The equation read 74 off 68 when Rhodes entered. And immediately he started pushing the ball into the gaps and haring down the wicket. Kallis and Rhodes pushed the score along. Singles were there for the taking, many converted into twos, and there were enough boundary balls in between. The stand amounted to 47, off just 42 balls. And then Kallis slashed Srinath to third man. Rhodes scampered up and down, and sprinted up again. Kallis, uncertain, hesitating, hovered midway between yes and no, and Prasad’s throw to the bowler’s end caught him well short. 27 required off 26 balls.Â AndÂ we already know what happened next. Rhodes took a single, Srinath ran in again, and Klusener bludgeoned him for four. 22 remained to be scored off 24 balls. Agarkar had the ball. And the match virtually ended in the course of that over. Rhodes cracked him for four, and repeated the stroke. A single came next. Klusener squared up. Agarkar ran in. Whack. Four. Whack. Four. It was merciless. The strokes were too powerful. The boundaries too short. The fielders too few. The over cost 17. And then just to end it quickly, Rhodes lofted Prasad over mid on for another boundary. 27 had been required off 26 balls when the two had come together. They had got them in 10. The Indians, spirited and determined till the 45th over, suddenly looked as if hit by a tornado. They were jogging off the field, morose and disappointed, when the traditional Indian fan appeared. Big,Â boorish, inebriated, without whatever rudimentary sense he might have possessed when sober. He was obviously feeling let down by the team, who had not managed to win it for him while he had guzzled his beer. He snatched at Azharuddin’s shirt, and the captain shook him off. And then his eyes fell on Dravid. His lumbering hulking form made towards the Indian batsman and rammed into him. Dravid was shoved off his course. Unfortunately for this splendid specimen of Indian cricket fandom, the man immediately behind Dravid was Prasad â tall, well-built, and with the mindset of a fast bowler. Prasad’s eyes grew fierce. He glowered at the guy, charged at him, and did unto him as the oaf had done unto his teammate. The brute tottered, toppled and fell in the arms of pursuing policemen. The well-fought match had to wind up with this bitter after-taste. But that has so often been the story of Indian cricket. India 253 for 5Â in 50 overs (Sourav Ganguly 97, Rahul Dravid 54; Lance Klusener 3 for 66) lost toÂ South Africa 254 for 6 in 47.2 overs (Mark Boucher 34, Jacques Kallis 96, Johnty Rhodes 39) by 4 wickets with 16 balls to spare. Man of the Match: Jacques Kallis. These radios can be used for many different purposes. They are often used in public safety, recreation camps, military training and other businesses. Moreover, they can also be used as toys for children. Two way radios come in many different designs at affordable prices. What is PMR Radio and Who Uses Them? A two way radio is basically a radio that is structured to transmit and receive. In general, most voice-wireless communications technology, counting cellular systems, are categorized by two way radio definition. Usually, a 2-way radio refers to a radio system primarily utilized for group call communications. This 2 way system is also called PAMR Public Access-Mobile Radio, PMR Private-Mobile Radio, LMR Land-Mobile Raido, and PMR Professional-Mobile Radio. Portable 2-way radios are frequently called âwalkie-talkiesâ or âhandie-talkies.â Not much different from âhandie,â the term sometimes used to describe mobile phones. While weâre on the subject, itâs probably best to get something out in the open right now. People often interchange the terms two way radio and walkie-talkie. However, walkie-talkie is chiefly a generic or slang-term for hand portable 2-way radios. Moreover, the term usually implies non-professional, license free, consumer type, or âtoyâ equipment. When referring to two way radios, people are basically talking about professional licensed equipment. A walkie-talkie is generallya hand-held PMRÂ radio. A 2-way radio is of superior quality and utilizes much higher frequencies. two way radios can also be found in mobile and base-configurations in addition to using radio network-infrastructure. 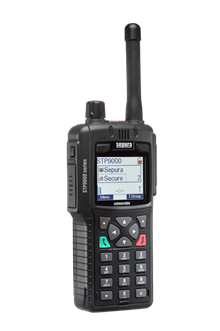 In addition, two way radios are usually decked out with a PTT or âPush-to-Talkâ key to trigger the transmitter. Users simply press the PTT key and quickly begin a conversation. The user lets go of the PTT key in order to hear others. A two way radio user can talk immediately with other radio users or utilize radio network-infrastructure. A direct-talk amongst radios, normally referred to as direct more operation/talk-around mode, has restricted reach because of limited radio power. To defeat this restriction, a radio network-infrastructure can be used to expand the communication range. WHY USE A 2-WAY RADIO? two way radios offer instant communication. Users can simply press the PTT or âPush-To-Talkâ key and inside a fraction of a second, the user can instantly speak and convey their message. This is because of the quick-call setup time entrenched in the technology. This quick communication possibility is one of the main reasons why businesses and organizations prefer 2 way radios for their operational or tactical communications. An additional unique feature of 2-way radios is its ability to facilitate âgroup-callsâ or âone-to-manyâ communications very effectively. This means that one user can easily communicate with one, five, twenty, hundreds, or even thousands of other 2-way radio users simultaneously. In other words, thereâs no need for users to repeat themselves time and again if they need to communicate with more than one user. Moreover, 2-way radios performs perfectly for group communication using a minimal amount of RF channel-resources. If every user were in the same vicinity the majority of the time, they would only need one-channel resources to speak to hundreds of other users. WHY NOT SIMPLY USE ANY WIRELESS-SYSTEM? There is an abundance of wireless-technology today, and they all have their advantages and disadvantages. The choice of which technology is idea for oneâs group or association will depend upon if the technology can satisfy the userâs requirements. For users who need to function in a group, communicate instantly, and remain mobile, a 2 way radio is the best choice compared to the other wireless technology available on the market today. Consider this scenario. You are out hiking, run into an emergency situation, and must communicate quickly to confirm your dilemma. If you were using a mobile phone, for instance, you must dial a number, wait while the call is being setup and connected; thatâs if you get a signal. The phone must then ring to the other person, and they finally answer, if their voicemail isnât on! The whole procedure could take several seconds and within that valuable time, your situation could easily worsen. With a 2-way radio, you simply press the PTT key and yell âemergencyâ while the other users âimmediatelyâ pick-up your signal. This is assuming that RF-channel is accessible. However, there is a way that two way radios features can surmount RF-channel blockage and give highest-priority to emergency calls, a feature not available to other wireless devices. Take this example. You need to let your staff know that there has been some changes for a planned meeting. If you have to contact them one at a time, it could become tedious. With a 2 way radio, you can simply select your talk-group, press the PTT key, and begin your message to five, 10, 15, or however many staff members you need to communicate with simultaneously. Now, raise that number to 1000 workers and imagine the work involved if you had to go through cellular phone channels. Though some wireless systems permit group calls, it usually restricts the amount of group members that you can communicate with at one time. With a 2-way radio, you simply need to speak once and be heard by many. Overall, those who utilize 2 way radios are frequently businesses or agencies with many staff members or workers who work in groups and are mobile. Today, 2 way radios come with additional or improved features from years before. For example, display screens show important information at a quick glance, keypads lock to maintain channel settings, there are various ring-tones and silencers to choose from along with out of range alerts, and much more! The Hytera Radios are starting to take some of the digital market from Motorola, what makes them so good? The PD782, PD785 and PD702 Hytera radios are affordable, as well as being easy to use and providing high quality audio. This is a good combination when it comes to two-way radios, a technology that, by definition, needs to be durable, easily replaceable and effortlessly useable in case of emergency. The parent company, Hytera, have been operating since 1993 and in that time they have developed a strong reputation as an industry leader. In short, they are in the process of cultivating a trusted international brand. Hytera are an emerging brand with a considerable track record for producing quality technology at premium prices. Another likely source of Hyteraâs recent success is the effectiveness of the Hytera earpiece. The Hytera multi-pin earpiece is designed for use with the PD702 and PD782 radio models. It features excellent playback, as well as being solid and durable. This Hytera earpiece is available for around Â£25.00 and is a professional level model, proving highly effective for many modern surveillance exercises. Returning to the two-way radio discussion, Hytera radios include a number of advanced features, including a robust design, as well as a full colour LCD display, something that is a rarity in todayâs market. There are also a high number of messaging options. The PD785 is IP57 rated. This means that it can even be completely submerged for up to 30 minutes without obtaining any significant damage. It can also switch between analogue and digital mode and features full digital encryption. Hytera have received a boost in sales because they have created a series of products that are up-to-date, hardwearing and professional. Two-way radios need to be reliable as a matter of fact, which is why these products are selling so well.